Currently, men and women can access university education with apparent equality. However, this equality is only apparent. The overall percentages of men and women at university reflect society, but there are areas in which equality is far from reality. Since the 1990s, degrees in the humanities, social or health fields have attracted higher percentages of women than men. Some educational areas have even been identified that are mainly studied by women (for example, early childhood education, primary education and nursing). However, in the sciences, the percentages get closer to 50/50 even though, for example, full-time female researchers only make up 39.1% of the total. Universitat Politècnica de Catalunya). All four have in common that all their degrees are in the scientific-technical or technological field. In addition, in all four, the percentage of women in the classrooms is no higher than 30%. posts in knowledge-intensive industrial sectors are occupied by women. Despite the clear increase in the presence of women throughout the university and in research, the percentage of women taking technical degrees, and consequently in companies in technology sectors, has not risen. In the first engineering schools in Catalonia, it took over 65 years after their foundation to have a woman studying in their classrooms. The situation was the same in the rest of the Spanish state. In 1923, two women entered engineering courses in Madrid, for the first time in Spain. Only one of them, Pilar Careaga (1908-1993), completed her studies and became the first woman with an engineering qualification in the country. She never worked in the field but was satisfied that she had completed her training. Years later, Isabel de Portugal Trabal (1924-2014) qualified in Barcelona, where she was the only woman in a group of 35 students. 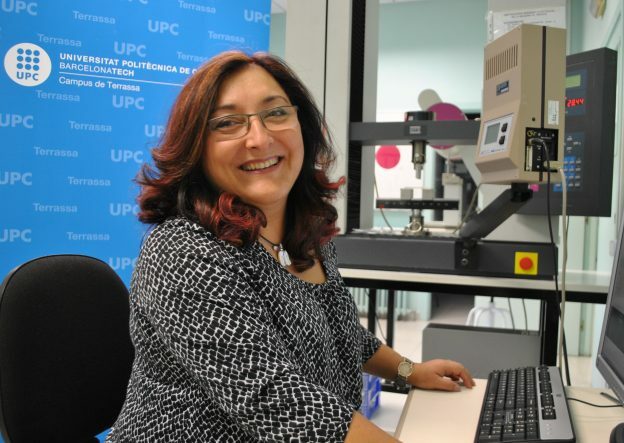 She was the first woman to gain a PhD in Industrial Engineering, and she received the Francesc Macià Medal from the Government of Catalonia for her professional career. Prior to 1980, among all the universities that taught technology degrees (engineering, architecture, computer science or telecommunications), 631 women qualified out of a total of over 35,000 students. As in all areas where inequality can be found, there have been pioneers whose work and determination has overcome prejudices and, in some cases, the clear antagonism of men, to open the way for others. One example is Hedy Lamarr, who invented a system that enabled the development of wireless communications (wifi, bluetooth) and the current GPS. She was an inventor, but she is remembered for her work as an actress. Stephanie Kwolek worked at DuPont where she invented Kevlar fibre, a key component of bulletproof vests. She won the National Medal for Technology in 1996, but she has never been put forward for a Nobel prize, even though her invention has saved many lives. Beulah Louise Henry, known as Mrs. Edison, invented the first photocopier. She patented 50 inventions, but her name does not appear in the textbooks. In 1903, Mary Anderson obtained intellectual property rights for an invention that could be used to clear the frost off the windscreen of her van. Currently, millions of vehicles use her invention. In Spain, patents presented by women were initially related to the domestic environment. Fermina Orduña patented a cart for selling milk on the street and Candelària Pérez patented a “multifunctional” piece of furniture that combined a bed with a bedside table, dressing table and desk. Èlia Garci-Lara Català patented a mechanical laundry room that classified the clothes for different washes. A Spanish woman, Ángela Ruiz Robles, invented the “mechanical encyclopaedia”, which could be considered the precursor of the ebook. Their names have often been hidden behind the generalization of “made by a woman”. Without a name or surname. Without recognition. Without visibility; even using effective search engines such as Google, we find that their existence is blurred compared to the achievements made by “equivalent” men. This recovery of names and dates aims to redress the low or zero visibility that women in science and technology have had in the past. We can directly relate this low visibility to the fact that we still do not attract sufficient women to technology qualifications. It makes no sense that in areas in which women have a clear predisposition and proven capabilities, as evidenced by excellent results and brilliant curriculums, the system contributes to the prevalence of inequality that damages the entire system. Therefore, our work and its results must be valued and visible, not as something unusual or eccentric, but as a contribution to overcome once of the least known ignominies of gender inequality. Valuing women’s results through a post such as this also contributes to this struggle for explicit recognition of women who work in science and technology. This entry was posted in Sin categoría on 12 March, 2018 by www-citupc.